In Ohio – as has been the case across the nation, including here in Oklahoma – the actual results of the machine were called into question, contrary to stern assertions by prosecutors and lawmakers that the machines are reliable. Increasing use of the automated breathalyzers also raises constitutional questions about defendants’ rights to confront witnesses who testify against them. Here’s the problem. The new generation of breathalyzers involve computer programming. Only one company – CMI, Inc. of Owensboro, Ky. – provides the machines to the state. They don’t provide their breathalyzer software for examination by DUI defense attorneys. Why does it matter? Every time a police officer administers a breathalyzer test, careful procedures must be followed to avoid corrupting the results of the test. Part of that procedure is to make certain the machine is properly calibrated in the environment where it is being used. In as much as the calibration involves trade secrets about which a company won’t provide witnesses to testify, a driver accused of driving under the influence is unable to confront the witnesses against him. In DUI cases, prosecutors often herd defendants through a system that seems stacked against them. Many fail to put on a defense or to contact a qualified DUI defense attorney. That can be a mistake. It’s only been about 10 years since an Oklahoma DUI defense attorney persuaded the Court of Civil Appeals that arresting officers in two DUI cases had not used a state-approved device to calibrate breathalyzers. (McCown v. State ex rel. Dept. Of Public Safety 2003 OK CIV APP 66 and Manning v. State ex rel. Dept. Of Public Safety 2003 OK CIV APP 57). 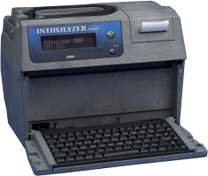 Oklahoma Board of Tests Alcohol and Drug Influence rules require that calibration of approved breathalyzer devices be tested against another approved device that uses known amounts of alcohol to verify accuracy of the breathalyzer. In the Manning and McCown cases, the Board of Tests had not approved the calibration simulator, and only those devices approved by the board are authorized by state law. Oklahoma DUI defense attorneys carried the ruling into courts around the state. Hundreds of breath tests were no longer considered valid evidence. Drivers charged with DUI got their licenses back. 1. Radio frequencies can interfere with test results. 2. Operators can manipulate results by instructing detainees to continue blowing into the machine until it gets enough alcohol to produce a positive result. 3. The machine doesn’t adequately distinguish alcohol in the mouth from metabolized alcohol exhaled from the lungs. Rulings such as the Ohio court handed down can sometimes start a domino effect. Challenges that succeeded in Ohio courts inform Oklahoma DUI lawyers. When one domino falls, hundreds of DUI cases can be tossed out. Of course, the dominoes can’t begin to fall until someone accused of DUI on questionable evidence fights back. If you’ve been charged with driving under the influence in Tulsa, it’s important that you immediately retain a qualified Tulsa DUI defense attorney who keeps up with the latest developments in Oklahoma DUI laws, rules and procedures. Even though you’ve been arrested and charged with DUI in Tulsa, the prosecution must still prove it’s case – unless you plead guilty and give up. Until you’ve talked with a Tulsa DUI attorney about your case, you may not know how weak the state’s case may be. For a free consultation with a Tulsa DUI lawyer, call the Wirth Law Office today at (918) 879-1681 or toll free at (888) Wirth-Law. If you prefer written correspondence, you may submit a question through the form at the top right of this page.